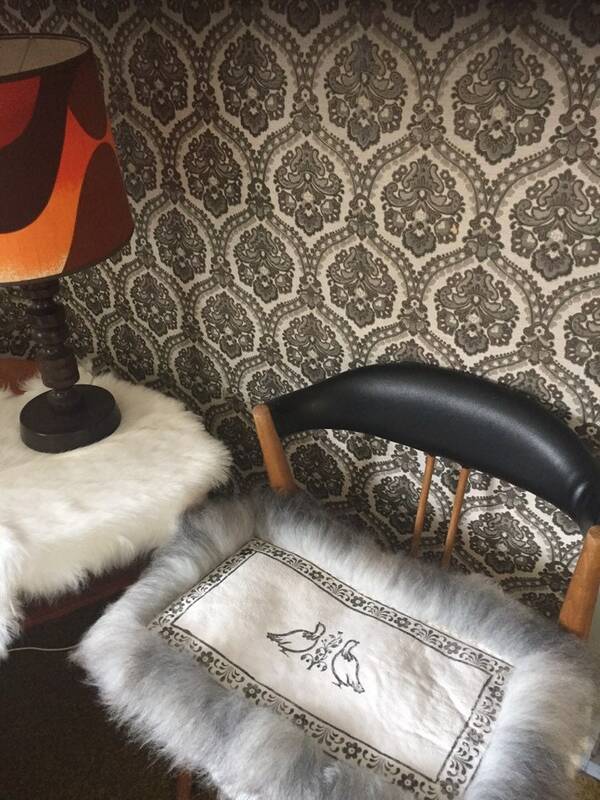 This seat cover is cut from a long haired grey sheepskin. 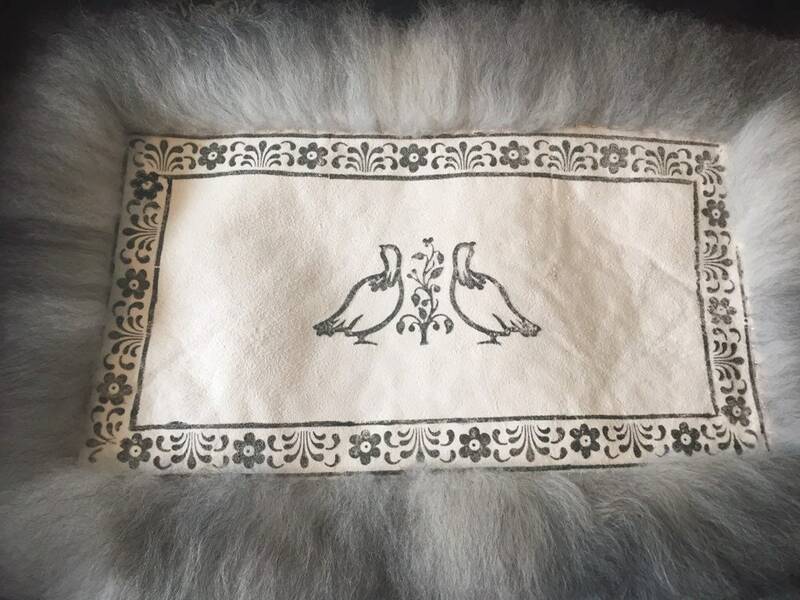 The size is approximately 50 cm x 32 cm. 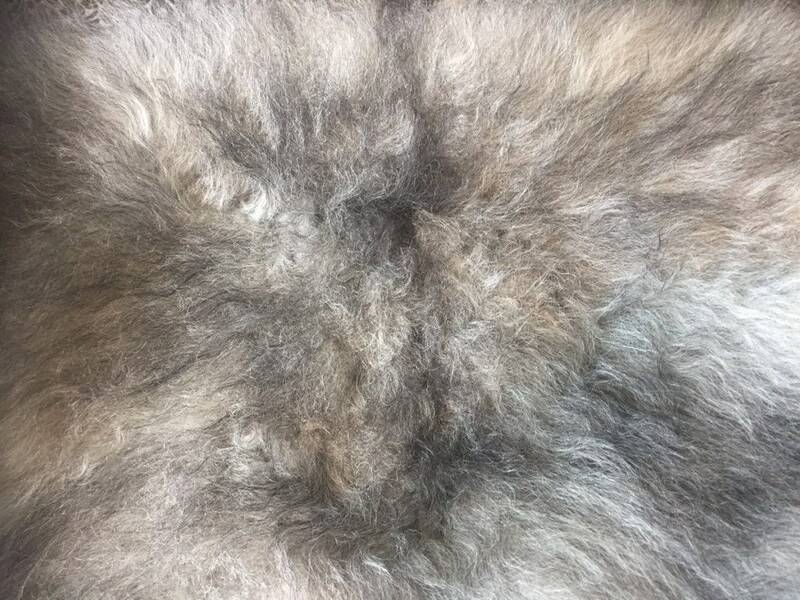 Our sheepskin seat covers come in natural colors that will not change in direct sunshine. They are very warm to sit on and an ornament to your living space. They are well kept if combed with a dog or cat brush once in a while, and if shaken outside to remove dust. They can also be dry cleaned at a professional dry cleaner. 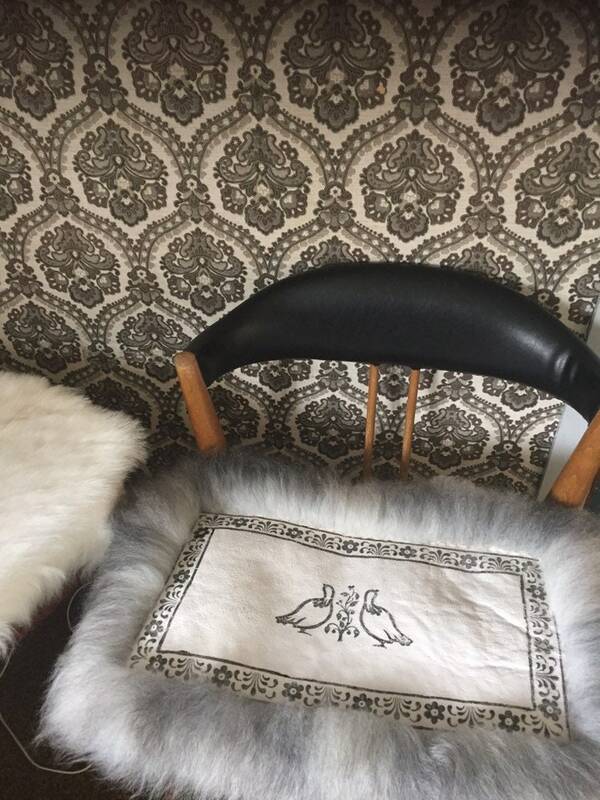 This specific seat cover has a frame of sheepskin sewn on by hand. Shipping may come to less then the automatic pricing here. Please enquire if you want to buy several rugs or covers, and we'll give you a specific price. We always refund shipping overages if a customer has been charged more than it actually costs to ship the order.